This is a well-rounded look! While it’s a beautiful classic black suit, look closer to see the spiked shoes with red soles. The little touches just make this outfit extra. This is a pretty simple look, but you can’t help but look at this groom and think about how sharp he looks. The navy and brown are a great combo and he rocks it! 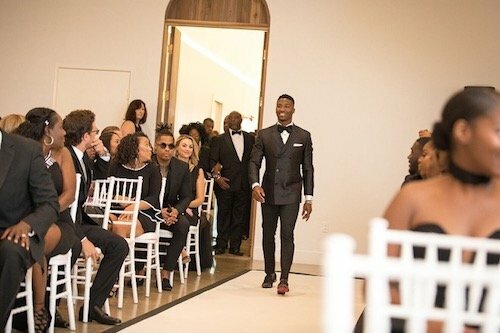 This look is clean and time-honored. I love that he is representing a huge part of their lives through his attire! 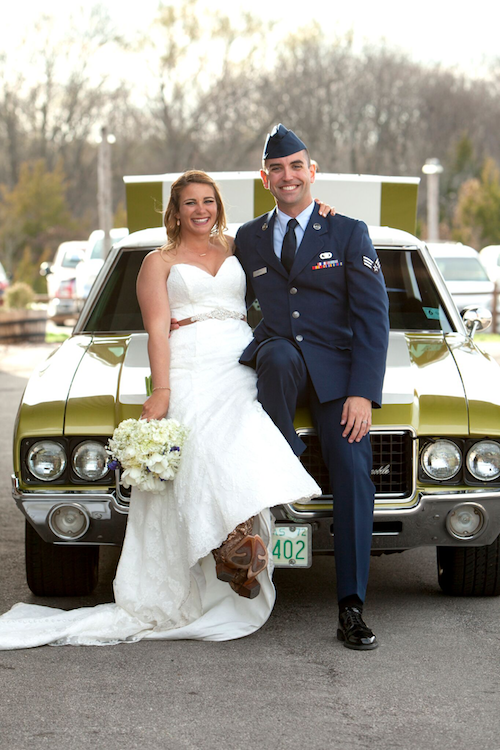 This groom surprised us – we didn’t know there was a separate, fun reception coat. They were a fun couple anyway and when Michael came out in in his new jacket during the reception, we could help but think how fitting it was! 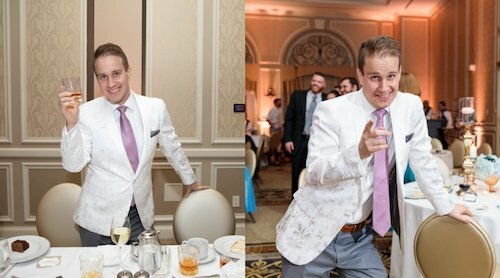 I think these pictures perfectly capture, not only how cool this groom was, but also his great sense of style. This one is one of my favorites because of how sly it is (I’ll forgive that he is a Broncos fan). 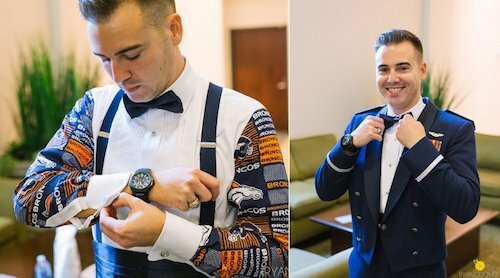 You can see in the pictures above that Kristian wore his Airforce uniform for a more traditional look during the ceremony, but for the reception the jacket came off and revealed the sleeves and whole back of the shirt had a fun, Broncos pattern on it. A couple of his groomsman joined him in this style, having another sports team and even puppies! 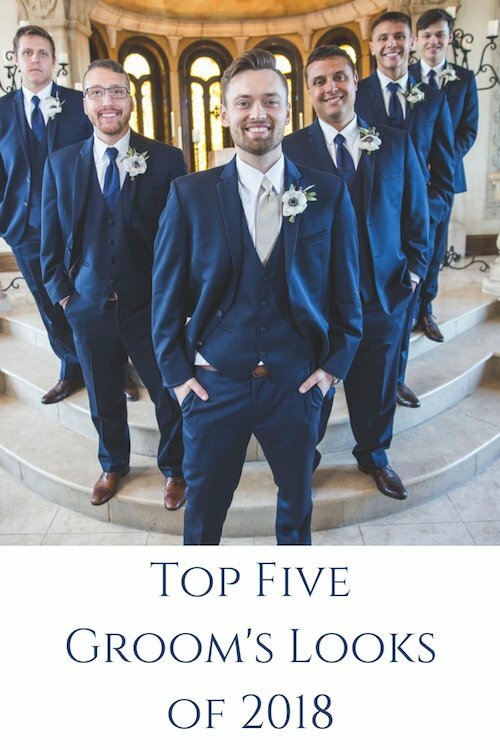 I wanted to give the grooms from 2018 the spotlight for a minute and showcase some of our favorite looks. Which one is your favorite? 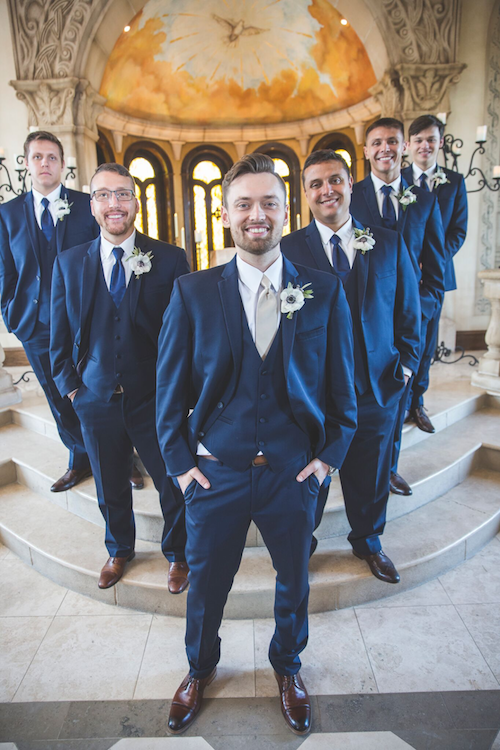 Or do you have a unique grooms look? Please share with us in the comments! 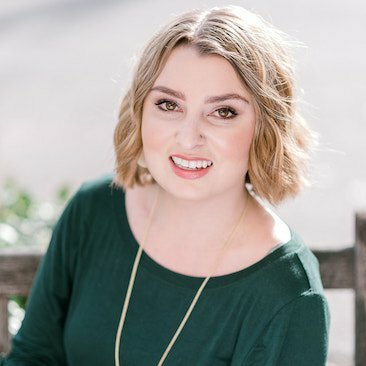 If you have any questions about pulling together your look for your wedding, contact us!